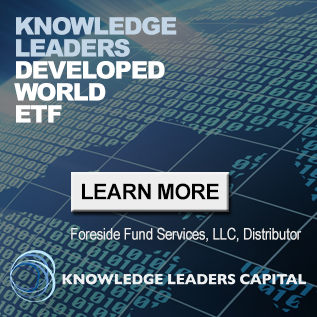 Today’s “blowout” employment report, while strong in some respects, should be taken with a grain of salt. It’s important to remember that employment is a lagging indicator. Payroll employment often peaks either at the beginning or middle of recessions, so it provides virtually no warning of impending danger. Better indicators of employment strength are the unemployment rate itself and the quits to separations ratio derived from the JOLTS (Job Openings and Labor Turnover Survey) data. The unemployment rate is now up three tenths from its trough and is at the level that prevailed in March 2018. While three tenths may seem like a minor uptick given the clearly declining trend and improvement in the participation ratio, writing it off entirely may be a mistake. That is because relatively minor changes in the unemployment rate also led peaks in payroll employment in seven of the previous seven recessions. The unemployment rate led the peak in payroll employment by between 3-12 months in each case. 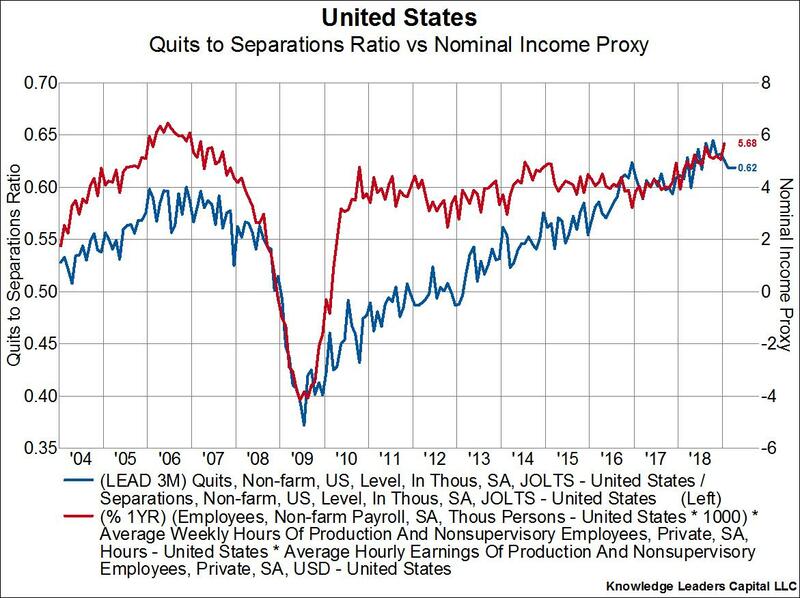 The quits to separations ratio from the JOLTS report also leads payroll employment by about nine months, as can be seen in the chart below. 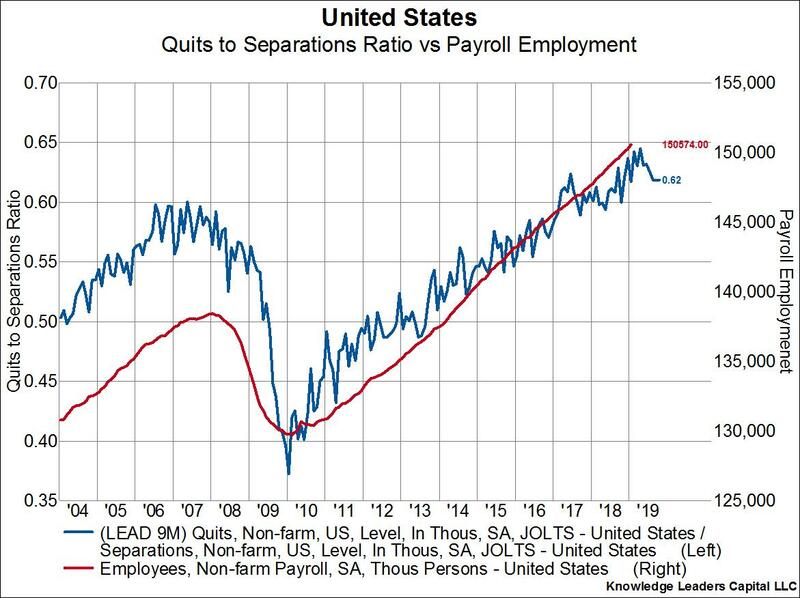 A rising quits to separations ratio means employees are leaving their jobs voluntarily (presumably to take a better job), and vice versa. Right now the quits to separations ratio appears to have peaked out, though in fairness we only have data through November. If this trend in quits to separations progresses then we could see the peak in payroll employment for the cycle sometime in early 2019. 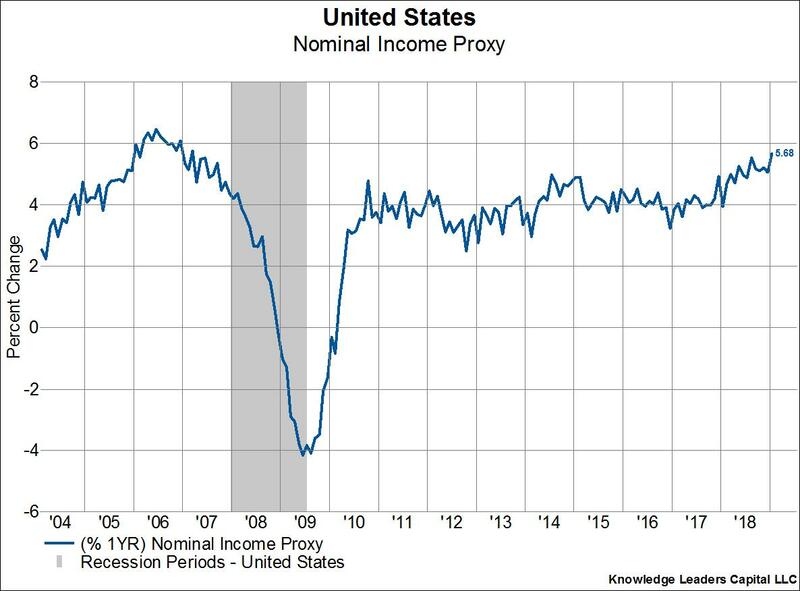 The nominal income proxy – which is calculated by multiplying total employees times average weekly hours times average hourly earnings – just broke out to a cycle high. Strongly rising economy-wide nominal earnings is good news and may be the most positive part of today’s employment report. 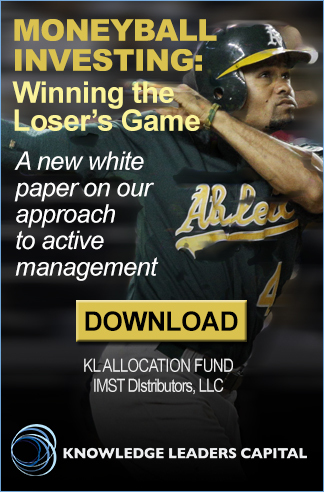 However, the JOLTS quits to separations ratio also happens to lead the nominal income proxy by three months. 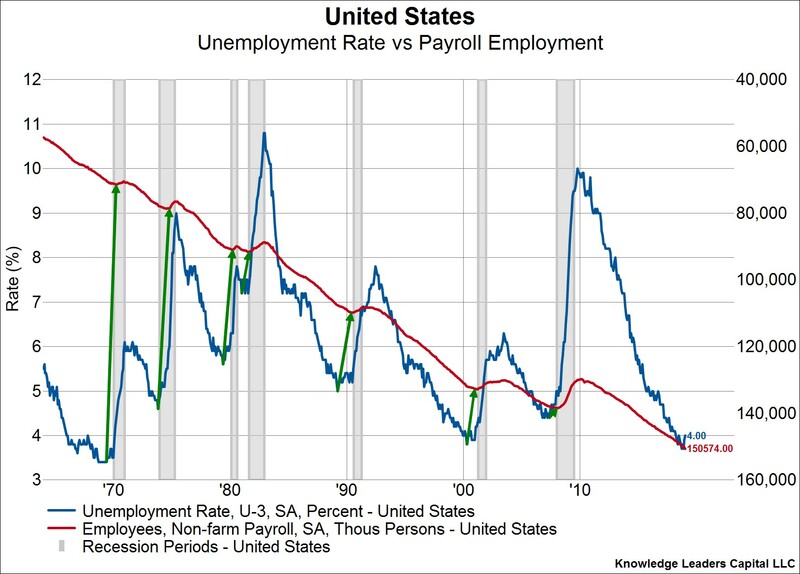 Therefore, if this cycle is to continue, it is vitally important that both the unemployment rate and the quits to separations ratio stabilize right now.